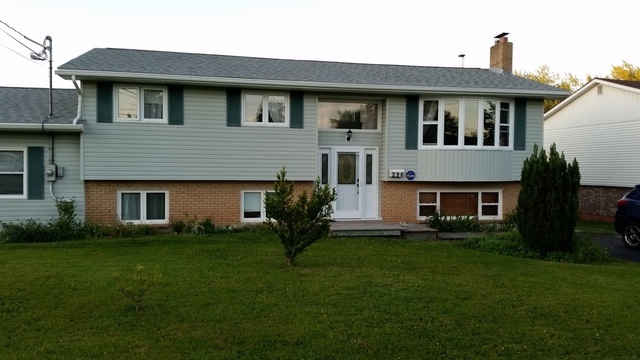 We are very happy and pleased with the painting done on our home by Jim MacDonald and his crew at Spray-net. It updated our home and it is a very professional job. It looks like we have new siding. The job was done in one day and we are pleased to recommend this company to anyone. We have had lots of compliments on it. Thanks for taking the time to leave us such a wonderful review! 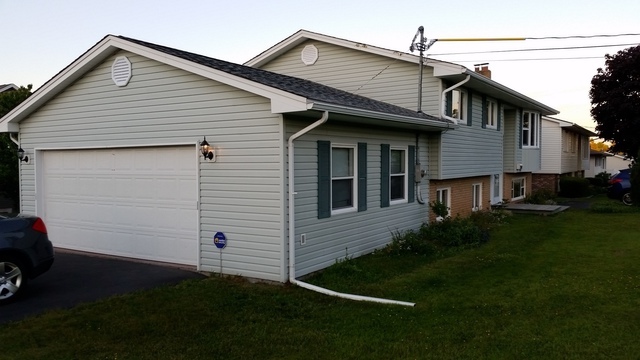 We're so happy we were able to revamp your siding and give your home a new look. Thanks again for the review and your recommendation, take care! Our house looks better than we could imagine. Jim MacDonald's excellent presentation answered all our questions and addressed our concerns. Many people have stopped for a second look and many have commented that it looks like a new house. Very pleased with results. Thanks for taking the time to leave us a review. We're so happy to hear you (and our neighbours) are loving the new look of your home! Spray-Net's exterior painters will beautify your home in just a day! Using our industrial-strength coatings and spraying technique, we bring factory quality results right to your doorstep. 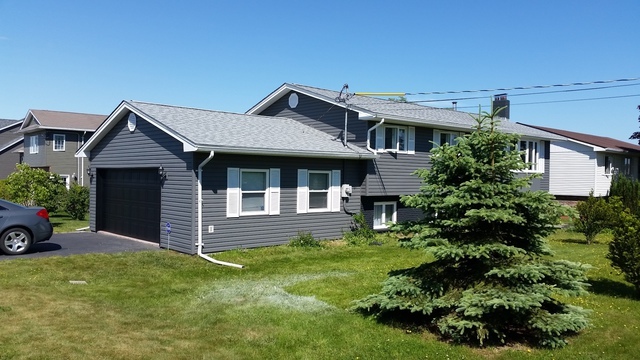 We've created a cost-effective service that will instantly boost your home's curb appeal and save you on the cost of completely replacing your siding, doors and windows! Every project results in a permanent factory finish, free of any brush and roller marks, that won't peel and looks absolutely brand-new. Not repainted. We offer a turn-key exterior painting solution. From surface prep to end of day clean-up, our exterior painters take care of everything so you don't have to. No matter the surface we're revamping, all of our projects are backed by a 15-year warranty against peeling and a 10-year warranty against premature fading and discolouration. Like our customers, we like a renovation without all the hassle! 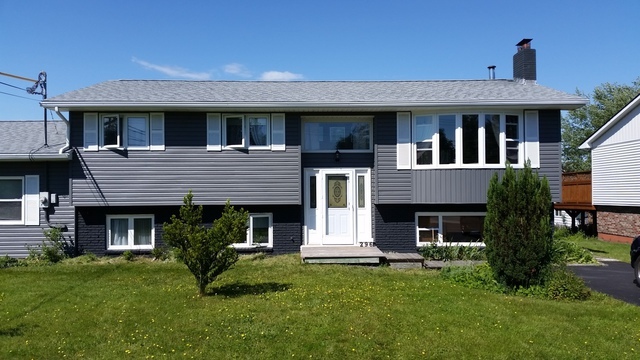 We specialize ONLY in exterior painting: Aluminum/Vinyl Siding - Brick - Stucco - Hardie Board/Fibre Ciment- Aluminum/Vinyl Windows - Front & Garage Doors - Fascia/Soffits/Eavestroughs/Trim. Each of our coatings is uniquely tailored to a specific exterior surface for maximum adhesion and an optimal finish. 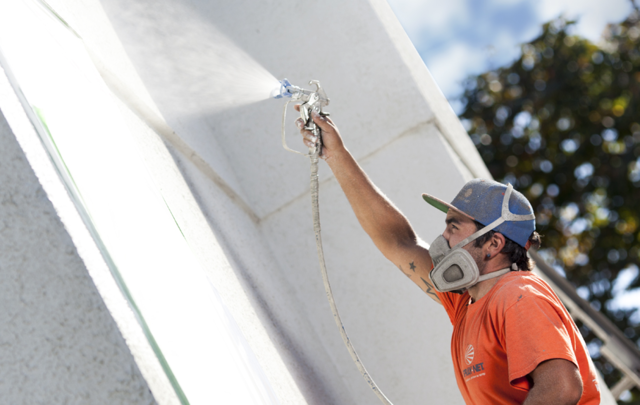 Coupled with our spray application, our coatings result in a like-new, flawless finish.